The Old Chatham County jail in Savannah, Georgia is so haunted people are actually encouraged not to visit. 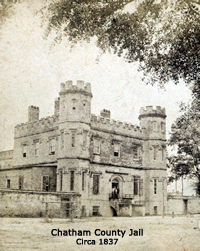 This jail established in 1737, housed 300 prisoners in its 250 plus year history. It was closed in 1989 in order to move the inmates to a larger facility. The county then used the building to store city archives. It was at this point city employees began to report strange activity. These witnesses reported hearing footsteps and voices without known sources. Several stated they felt they were being watched constantly. They reported being touched, pushed and even thrown against walls by an unseen force. Paranormal researchers were called in. These groups collected videos of ghostly figures, frightening EVPs and a variety of Poltergeist activity. One group witnessed a 150-pound metal plate fly across the room they were standing in. This plate hit the opposite wall with such force it marred it. One cell in the old building is more active than any other location. It is believed to house the malevolent spirit of Carl Isaacs. Isaacs escaped from a Maryland jail in 1973. He and his two brothers headed to Florida in hopes Carl would not be re-captured. They ran out of gas in Georgia and landed at a dry station. Isaacs and his brothers decided to rob a trailer home that sat in the back of this station. But the Alday family who lived there interrupted their burglary. Isaacs held the five male members of the family at gunpoint. He and his brothers shot and killed them. They then raped and shot Mary Alday and dumped her body in the woods. A few days later Isaacs was arrested, he still had the murder weapons in his possession. These murders are still considered some of the worst in Georgia history. 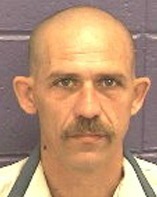 Carl Isaacs was put in Chatham County jail where he sat on death row for years. Since his death his ghost has terrified witnesses. Paranormal investigators report an overwhelming sense of dread while they were in his cell. They state that afterwards this feeling is hard to shake. This oppressive energy is considered evil in nature. These investigators experiences have dictated who is allowed to tour this old jail. Paranormal teams are allowed in but others who apply are turned away. I recently heard this building has been demolished. Will the activity now stop?